We’ve talked about Assistive Listening Devices (ALDs) before, but with so many different types of ALDs to choose from how are you supposed to know which one is best for a given situation? That’s why we’re starting a new four-part miniseries on ALDs, where we go through different situations that you might experience in your day—and suggest which ALDs can help you to hear your best in each situation. Today we’ll start with the first one, listening to music. 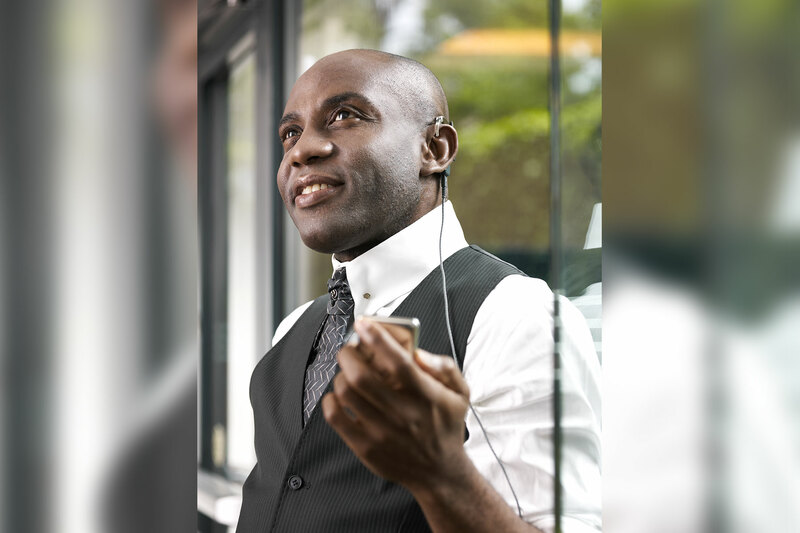 Listening to music can be one of the most enjoyable activities for a person who has regained their hearing with a hearing implant—or for someone who’s had a hearing implant since early in their life. An Assistive Listening Device can make this even more enjoyable because it can connect you directly to the music source and get you even closer to the sounds. There are a few ALDs we recommend for listening to music: a Direct Audio Input cable, a neckloop, or a wireless streamer. Direct Audio Input (DAI) is, in principle, like turning your cochlear implant into a pair of headphones for your cochlea. It gives you the highest-quality signal out of all the options we’ll talk about in this post. By plugging a DAI cable into your favorite music source, like a mobile phone or personal music player, you can connect directly to the source—bypassing speakers and your processor’s microphone entirely. To use DAI, all you need is a DAI cable and a battery pack with a 3-pin FM plug. Press “play” and enjoy hearing! Using a neckloop or streaming device can let you connect to a sound source similar to a Direct Audio Input cable, but with a wireless connection between it and the audio processor. The two main types of neckloops connect with either a standard headphone cable, or with Bluetooth. Bluetooth gives you a completely wireless connection but has a lower sound quality than if you would use a headphone cable. These neckloops include the ClearSounds Quattro or Artone 3. The Siemens miniTek is a wireless streamer that works exclusively with the SAMBA. Not all neckloops or streamers are available in all areas so talk with your audiologist or MED-EL representative to find the right one for you. To use a Bluetooth neckloop or streamer, you need a sound source that can connect with Bluetooth and a device that’s Bluetooth-enabled. Many sound sources, like mobile phones or mobile music players, have built-in Bluetooth capabilities; and you can buy add-on Bluetooth transmitters for others like home stereos. If your sound source isn’t Bluetooth enabled, then you just need to connect it to a neckloop or streaming device with a headphone cable. Almost all neckloops or streaming devices have this ability. For Bluetooth, activate the sound source’s Bluetooth function and pair it with the neckloop or streamer. For a neckloop without Bluetooth, connect it to the device with an audio cable. For cochlear implants, you can do this by activating your processor’s telecoil. Just click “T” or “M/T” on your FineTuner. For the SAMBA, connect it with the miniTec by selecting the appropriate option on your SAMBA Remote Control. This post was written with help from Janani Jeyaraman, a rehabilitation specialist at MED-EL. Subscribe to the MED-EL blog to follow our series on ALDs, because we’ll continue next month with tips for how to use ALDs when watching TV. 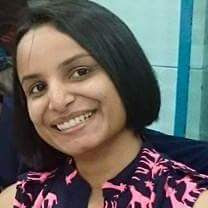 Janani Jeyaraman is the Clinical Manager Rehabilitation for MED_EL India since 2008. Janani enjoys working in this field because she believes that access to hearing is every individual’s right, and to be able to communicate is the primary step to independent living.